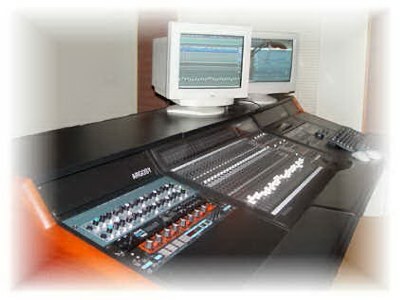 Diversion Studio Has been producing Sound & Video over 25 years. Victor Peraino producer and owner is a veteran of the industry. Working and Recording with Artists and Record Companies like. legendary GRANDE BALLROOM and other Concerts in Detroit. with acts like the Cream..... MC 5.... Stooges... SRC.... Chuck Berry.... Hendrix.!! In the 70's Victor Recorded on Polydor records in England with the father of theatrical rock Arthur Brown, know for his million sell hit "Fire"! Arthur Brown's Kingdom Come... the Journey album, was crictally acclaimed as a landmark, in the music industry the first recording to feature a drum machine. Victor played keyboards. melotron. moog synthesizer. vcs3. theramin & vocals on this ground- breaking album. Also working and touring with such notable artist as - Queen.. Manfred Man.. Dave Edmunds. Eno. David Allen of Gong , Hawkwind,and The Eager Brouton Band. In the late 70"s Victor formed the band GUARDIAN and was chosen as one of Detroit best to be on the first W4 radio's HOME GROWN ALBUM . In the 80's he move to L.A. writing and performing a space theatrical rock show.